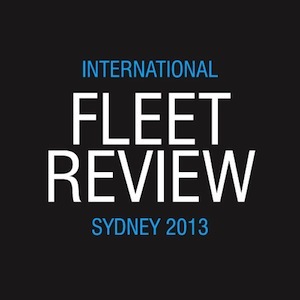 If you haven’t heard already, the International Fleet Review is on in Sydney this Thursday 3rd October until the 11th October. The review is being held to commemorate the centenary of the first entry of the Royal Australian Navy’s Fleet into Sydney. Over 50 nations have been invited to send a warship or tall ship to participate in the event and Sydney Harbour is expecting approximately 4o warships and 11 tall ships. 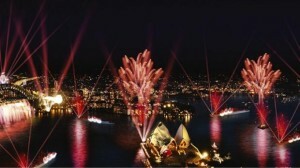 Sydney Harbour will be transformed during this historic event. Members of the public will be able to step on board warships from Australia and the world and see what life is like for a sailor in today’s modern navies at Barangaroo and Garden Island on Sunday 6 and Monday 7 October. Tickets to Barangaroo have already sold out, so you’ll need to be quick! Go to Ticketek for full details. The Tall Ships is also a ticketed event on the Sunday 6 and Monday 7 October at the Australian National Maritime Museum. As well as the ships available to view, there will be performances from Australian and International naval bands and a range of other RAN displays. And if that isn’t enough, Prince Harry will be in town for the event, as an official guest of the Australian Government. The Royal Australian Navy (RAN) and Imagination (Australia) Pty Ltd will be putting on a Fireworks and Lightshow Spectacular this Saturday 5th October at 7.40pm. The area around Kirribilli and Milsons Point are recommended vantage points for the event. The Spectacular is said to be the most complex, highly choreographed fireworks, projection, lighting and live action show ever seen in Australia, or even the world, and centres around Sydney’s famous Harbour and Opera House. 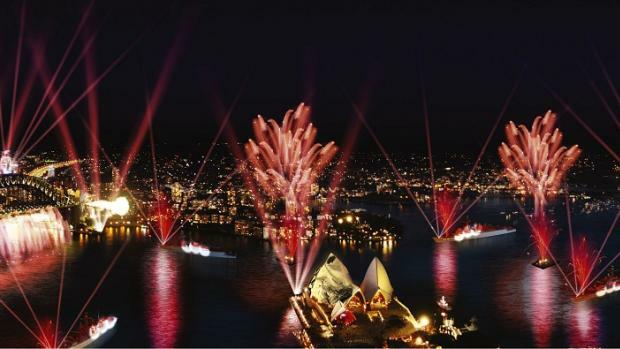 The Spectacular will see Sydney Harbour come alive as never before in a 30-minute show that celebrates over 100 years of proud history of the Royal Australian Navy (RAN), and in particular, commemorates the original seven warships that entered Sydney Harbour in 1913. Fireworks will be launched from city rooftops, barge positions from Cockatoo Island to Fort Denison, the Harbour Bridge, and for the first time ever, from the decks of RAN warships. This will all be joined by a lightshow from land, warships and Harbour Bridge positions, and a full projection show telling the history of the Royal Australian Navy on the Opera House sails, Harbour Bridge pylons and National Maritime Museum roof. Live action scenes will also take place on and off ships and support boats, plus choreographed fly-overs from Navy and Air Force aircraft. The entire show will be choreographed to a soundtrack created in collaboration with the Royal Australian Navy’s Director of Music, Lieutenant Commander Paul Cottier. Don’t miss this once in a lifetime event! Stop by for an early or light dinner at Garfish Kirribilli on your way to the lightshow spectacular, or wander up the hill from the Harbour after the event and enjoy a late dinner or dessert while the city is still buzzing. You can contact Kirribilli on 02 9922 4322.